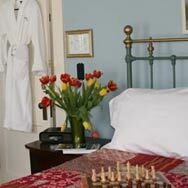 The Rose room has been transformed. 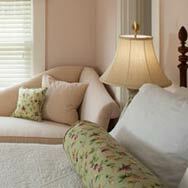 The Rose wall paper has been replaced with a relaxing shade of green. 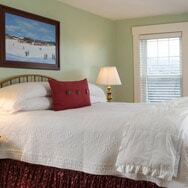 The Rose room, although one of our smaller rooms, is popular with those seeking the classic New England Country Inn experience. 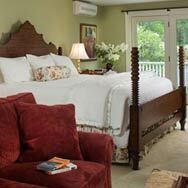 This room is on the second floor of our historic farm house. 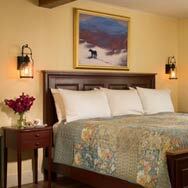 The 200 year old wide plank floors do creek and that is part of the charm.The magnificent views of Mount Lafayette, Cannon Mountain and Mount Washington make the Rose Room a favorite.Above the bed is an original oil painting of a New England Village in winter, by Vermont artist, Roderick Wells. 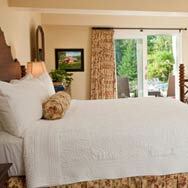 This room has a queen size Windsor bed, and full bath with tub and shower. 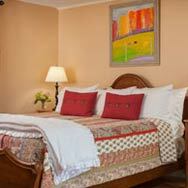 Room Selection Tip: For about $15 more per night you can upgrade to one of our standard rooms. 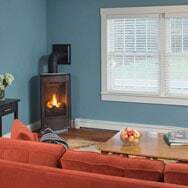 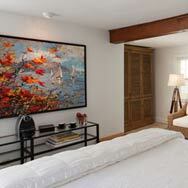 These offer more space and other features that very by room. 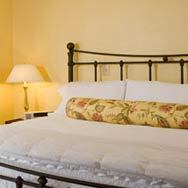 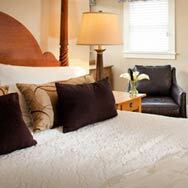 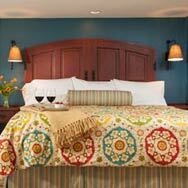 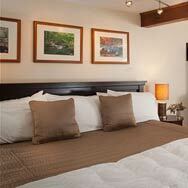 Standard rooms include Bette Davis, Moses Aldrich, Perennial, Wildflower, Garden and Forest View.